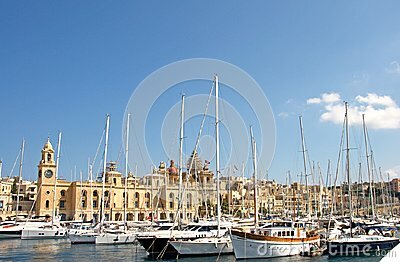 stock image of Yachts in the harbor. Malta. Three cities.